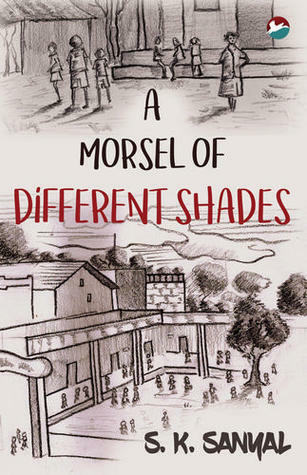 The book, A MORSEL OF DIFFERENT SHADES is woven around her experiences on women teachers lives. Sumitra found for some teachers, cruel circumstances charting out the unknown trajectory, while for the others, the evil streak already present manifested itself rather blatantly during their teaching careers. Sumitra Ghosal came all the way from Bankura in West Bengal to join the education service in the recently formed Bundeli State. During the period from 1956 to 1990, spanning more than three decades, she got shunted around small towns and semi-rural areas. 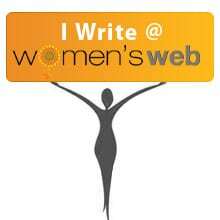 The book is woven around her experiences on women teachers lives. She found for some teachers, cruel circumstances charting out the unknown trajectory, while for the others, the evil streak already present manifested itself rather blatantly during their teaching careers. Ranging from the weird to the quirky, scheming to whimsical, there were all kinds of women for Sumitra to experience and continuously learn from. Bearing a religious bent of mind, Sumitra, a spinster by choice, didn’t fail to take cognizance of the bizarre instances of marital co-existences in the couples she met throught the story. Sumitra Ghosal had stepped into the thirties. Young and hopeful, bubbling over with the excitement of yet another transfer, she arrived at Domod, a district town. The three successive postings at Putlinagar, Bajera and Sagar in the sprawling Uttar Madhya Desh (UMD) had done little to exhaust her. UMD had its capital at Lakshminagar. As distinct from other States, it had predominantly Government schools, private schools not many in number. This State was created according to the prevailing trend of creating smaller states out of larger ones. Rashtriya Daridrya Mochan Party (RDMP) was in power, their manifesto focusing on widespread measures for promoting education for women in remote corners. Sumitra, though, found the efforts not coming entirely from the depths of a sincerely dedicated state. It seemed to be RDMP’s propagandist move to gain more votes. Sumitra found travelling in ramshackle buses and waiting at railway platforms for the few trains available at odd hours, quite an ordeal. Hers was the fate to move around insignificant remote corners in the heartland of India, where commuting was not easy; semi-rural people formed the stock of commuters. Sumitra, however, didn’t rue her fate; she enjoyed, for she was an optimist drawn by the hidden charm of the unknown places. And what a taste of independence in not marrying – she wasn’t anybody’s property. Her decisions were squarely her own. She had her own conduct or the way to what people say, religiosity; none could teach her the way to realise God. If, as a woman, she worshipped the deity of Hanumanji, let people laugh at her fasting or bratas on Tuesdays and Saturdays. That she got the strength of character by observing the rituals of her making was what mattered. That she wrote with her fingers, without making any impression, the names of Gods and Goddesses on her pillow before sleeping was her unique way to ward off any trouble. She had a personality built up over long years of getting over the inferiority complex she had developed in her formative years. Neglected and over-ruled, she wasn’t permitted to go for higher education, as her parents wanted their nubile daughter to be tied in a nuptial knot. But Sumitra went on rejecting proposals one after the other until her parents got tired. She was finally allowed to go for higher education. She had a late start, but this belated take-off made her even more determined to be independent, even to take a curious, brave and adventurous decision to take up lectureship in the newly created state of UMD when her native place was in Santhal Parganas in the east. The fourth and the youngest daughter of a businessman, she had had occasions to go to shikar and witness ruthless killings of sambars, tigers and other small animals or birds. In those times, there was no ban on shikaris engaged in indiscriminate decimating of wild animals. One day, she was seated in the jeep with her legs on the warm and still throbbing body of a fallen sambar. Touched, she took a vow not to have meat ever again. Thus, she was the only vegetarian amongst her non-vegetarian sisters. Alas, she had no brother, and that is why she equated the male visitors of her generation to her parental house as brothers and bestowed them with sisterly affection. It was the month of April when nature attired herself in a new garb with little smooth green leaves sprouting on some trees, while the others had not yet shed completely their brownish yellow leaves. A mixture of dusty yellow fallen lifeless leaves under the massive trees and the seasonal flowers past their full bloom presented a spectacle of life and death. One had to step over the crispy fragile remains of what once was a prized greenery to get near the rows of pansies, zinnias, lilies and other flowers to see the minute tapestry of the multicoloured spectacle amidst the crackling dead leaves. The winter’s ruthlessness had made way for the pleasant breeze, dusty at times, that replaced the cold winds of February. It was a pleasant, beautiful, sombre and placid morning in a strange land when Sumitra joined the school at Domod as a lecturer. It could have been the month of July with blackish-grey clouds suppressing the bright onset of the dawn or the torrential rains drenching her on her first day of school; it could have been the month of December with its biting cold necessitating the full stock of woollen clothes. Nevertheless, out of all the random eccentricities of the transferring authority, she was slated to join the school during the best period of the year, and it sure augured well. A placid look came over her face when she saw the red cap over a green body, the gulmohar, topping the fresh green leaves of the massive tree at the end of the road leading to the school. The April bliss. She got the first shock when she found the distance cut short abruptly. The school happened to be in full view, even as she was jostling through the crowd, manoeuvring the sharp cuts and turns of the street; an expectation of an ideal location of the school belied. Why this proximity? A school in a bazaar? How nauseating and depressing? A member of the Indian Statistical Service, S.K. 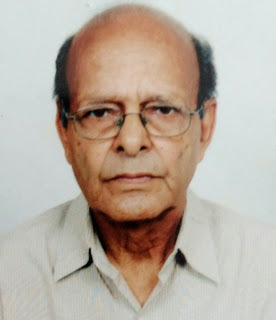 Sanyal retired as Director, Central Statistical Organisation, Delhi, after having served as a statistician at Indian Statistical Institute, Kolkata, and as a Professor of Statistics at All India Institute of Hygiene and Public Health, Kolkata. After retirement,he served from time to time as a consultant with the National Institute of Public Finance and Policy, Delhi. As a UNDP consultant, he had short-term assignments at UN Statistical Office at New York, Malawi University, Malawi, and Central Statistics Office, Sierra Leone. Prior to those, as a sampling expert, he delivered lectures on Sampling at Fiji and Nepal on behalf of Statistical Institute for Asia and Pacific, Tokyo, and ESCAP, Bangkok. At NIPFP, he was deputed for poverty studies at Sikkim on behalf of the Asian Development Bank. Besides numerous technical papers and articles, he has also published a novel, ‘Shifting Silhouettes’, and a real-life story, ‘Memories Unlimited’. He resides in New Delhi.